I have decided that Friday’s are going to be tip day. It might be a tip about sewing, crafting, designing, thrifting, breathing, who knows it will all depend on the day, week, month. Today it’s going to be a sewing tip. 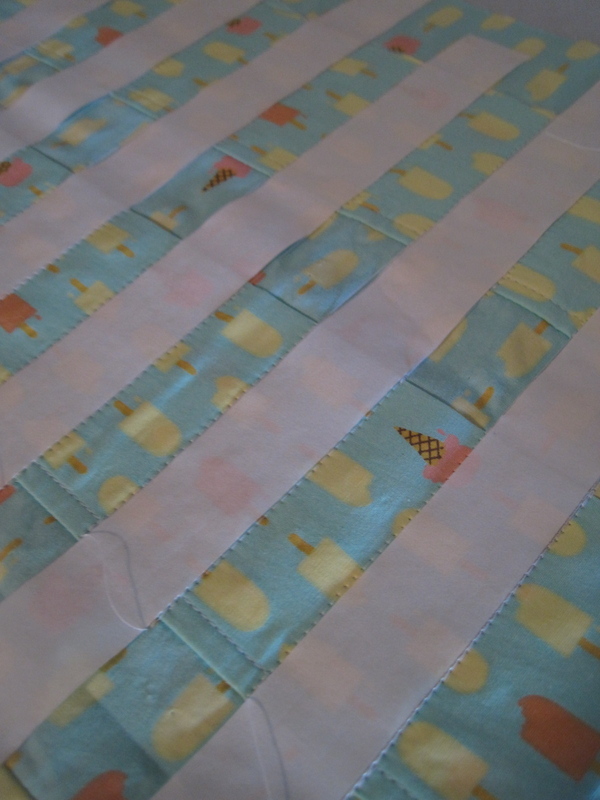 For those of you that do sew, this might not be all that mind bending, but it sure has streamlined my sewing of parallel lines. FREEZER PAPER! Using freezer paper might take a bit longer than the washable pen and ruler method, but for me, it’s worth the few extra minutes. Why, because I think the lines come out straighter and the paper stabilizes the fabric, overall, the outcome is clean, straight and perfect. 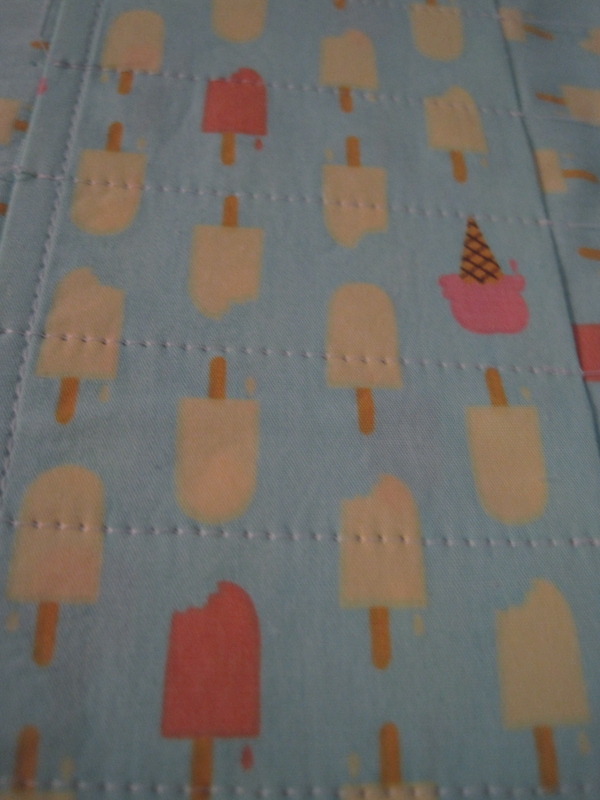 Freezer Paper, I use “Reynolds Freezer Paper” it comes in a blue box and can be found almost anywhere, with the zippy bags & foil. Project that needs horizontal lines, the project here are the crayon portfolios I make for kiddos to take crayons and color books along with them where ever they go. Step 2: Cut out the strips. 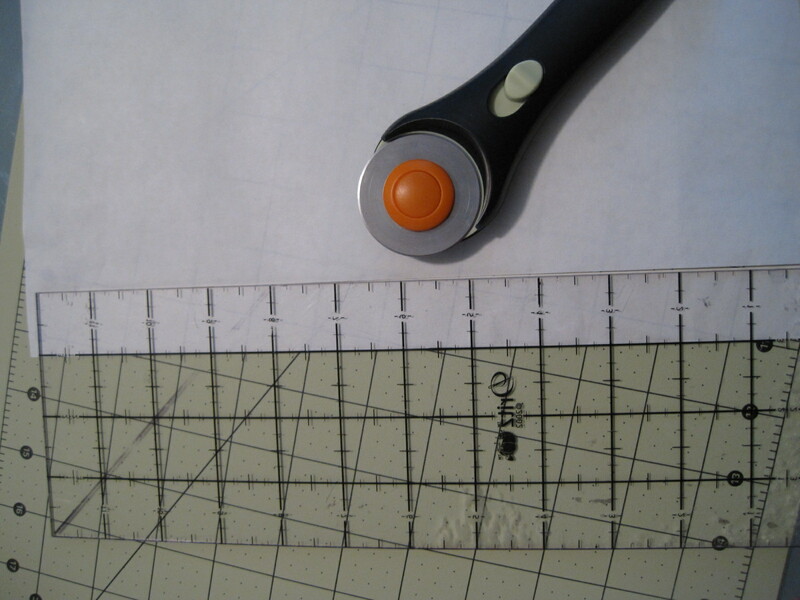 If you use scissors, cut along the lines, if you use a rotary cutter use your clear ruler, align edge with the one-inch line and cut. 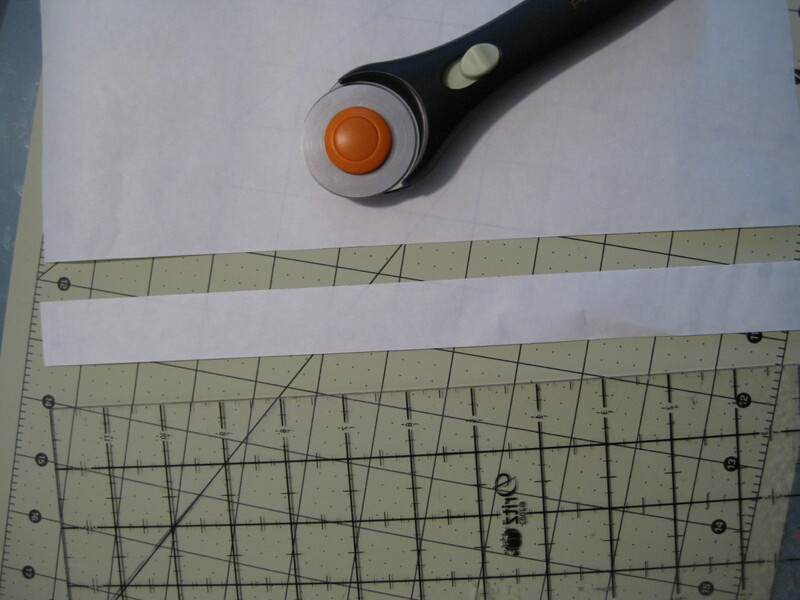 Cut until you have enough strips for your project. 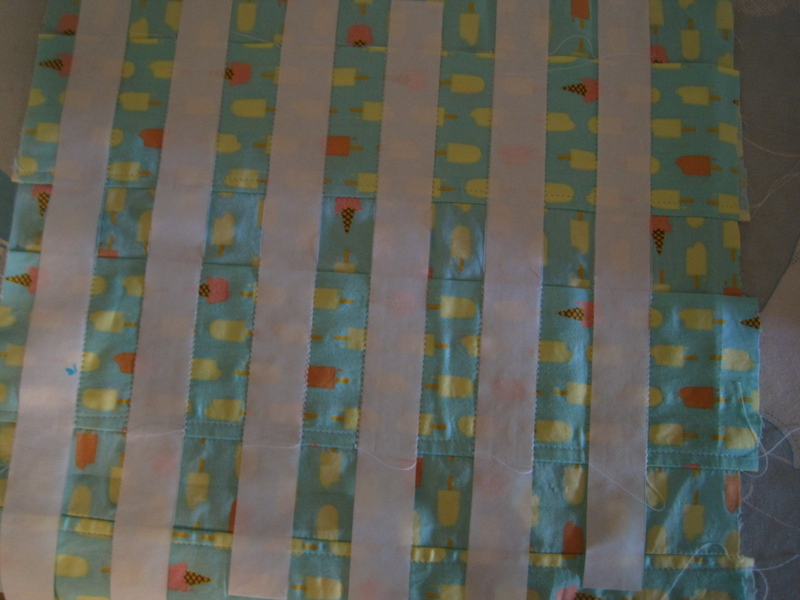 Step 3: With your iron on hot, align the freezer paper strip onto your project, waxy side down, and press into place. The paper will stay put until you decided to remove it, and it will not leave any kind of residue. 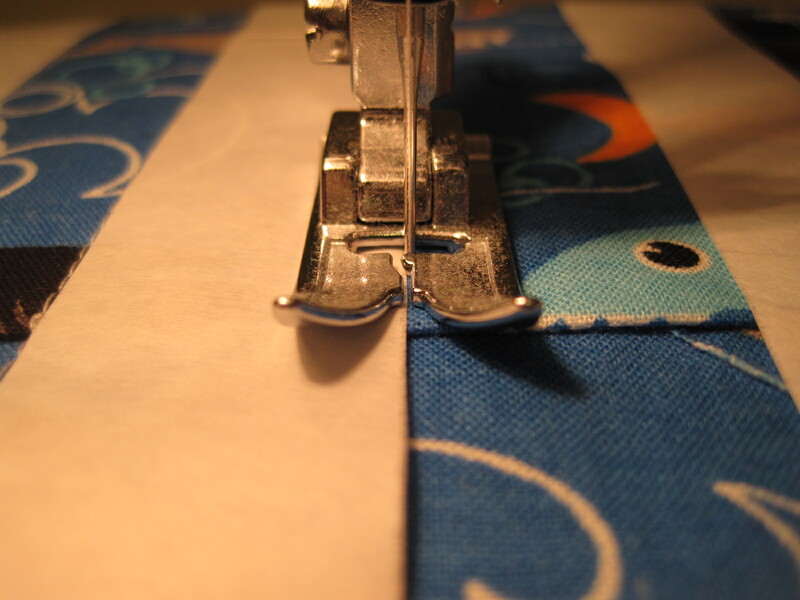 Step 4: Sew along both edges of the paper with your machine. Step 5: Remove freezer paper. Let me know if you decide to try it. 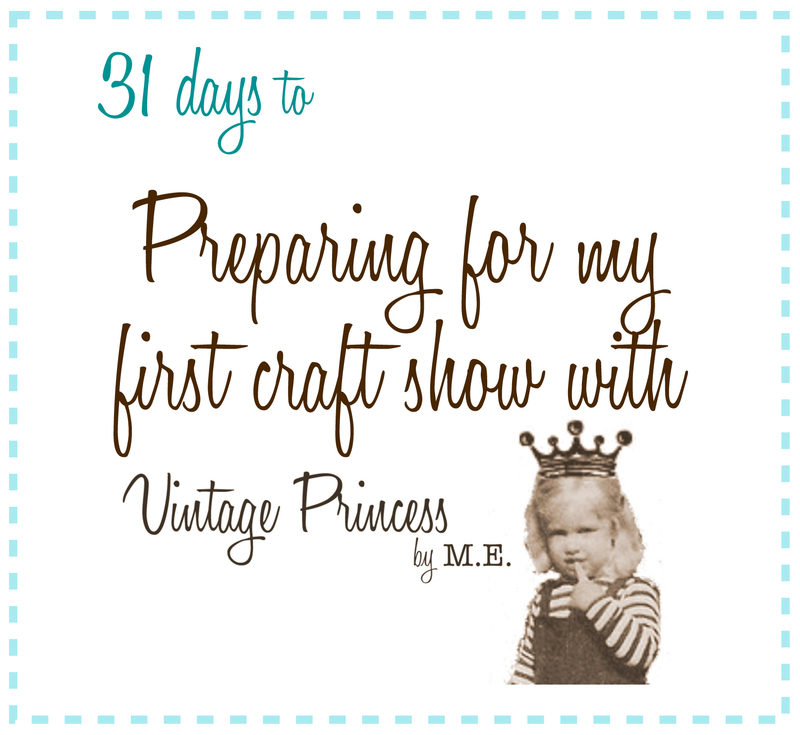 Pingback: 31 days: Preparing for my first craft show « M.E. OK, I’ve looked locally at Target and the grocery store, and I haven’t been able to find it. Where have you found it? Maybe I’m not looking for the right thing. I’ve been wanting to try it for stencils, but this is awesome! I thought I got it at Target, but could have been Nugget or Walmart. It’s usually on the very bottom row. We used it for stencils originally, turned out super cute!